Dixie iris, photographed at Green Cay Nature Center, Boynton Beach, Palm Beach County. Dixie iris, Iris hexagona, for our money is the most spectacular of the wetland flowers, in largely because of its extraordinary beauty but also because of its limited blooming time. You'll see it in late winter to early spring; by April or so, it's pretty much run its course. It's also fairly rare in South Florida even though it is the most widely distributed irises in the state, according to the Department of Environmental Protection. 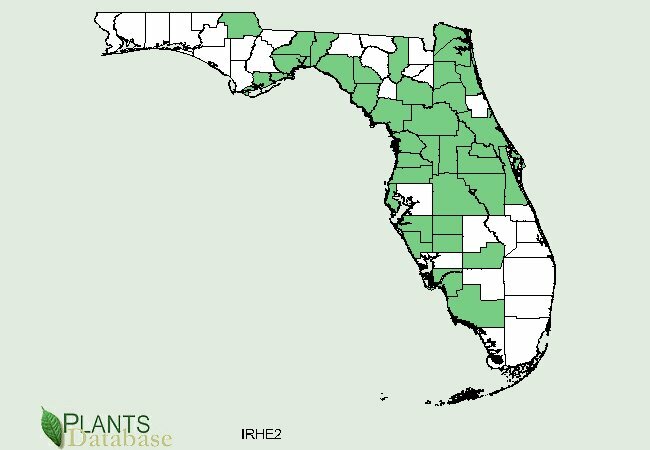 The Institute for Regional Conservation considers it imperiled in South Florida, although it is not listed by any agency as threatened or endangered. Dixie iris is bit of a geographic puzzle. 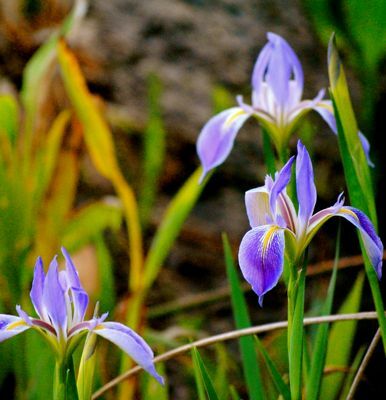 It's part of what's called the Louisiana series of water-loving irises, but one of its common names is Carolina iris. The United States Department of Agriculture's PLANTS database says it's found throughout the Southeast as far north as Missouri and Kentucky and as far west as Texas. But the Forest Service, also a part of the USDA says it's restricted to Alabama, Florida, Georgia and South Carolina. 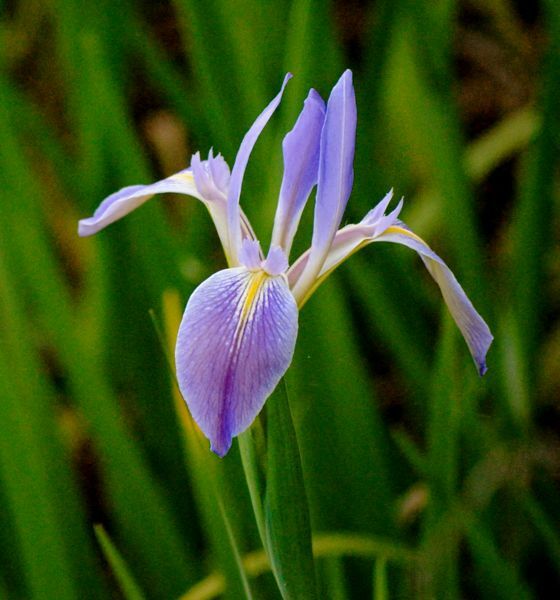 The Flora of North America website calls it "one of the rarest of all our native irises." It says Dixie has been found in only seven sites in South Carolina, six of which are now underwater, in only two counties in Florida (Dixie and Taylor) and not at all in Georgia. Part of the confusion might be terminology — the USDA says there are three subspecies of Dixie iris, one of which is found only in Texas (Flexicaulus), one found only in Florida (Savannarum) and one found throughout the Southeast (I. hexagona var. Hexagona). Dixie iris is widely cultivated and used in landscaping, but it requires moist to wet soil (we've read where some solve the problem by planting it where their air conditioner drains). It also likes rich, organic soils that are on the acidic side and a site that is partially shaded. It can be grown from seed or by division. The flowers can be pink or white (rarely), deep blue and purple, but they always have a yellow "signal" on the sepals — the downward arching part of the flower. The petals arch upward. The plant has long strap-like leaves, and grows to two to four feet tall. Dixie iris grows in clumps, spread by rhizomes, or underground stems. The plant is narrow, but those rhizomes help it form substantial clumps that can be fairly large. In winter, Dixie iris goes dormant. By the way, the rhizomes and root parts are poisonous, according to Cornell University. The species most affected: Cattle, pigs and humans. There are five species of iris native to Florida, but the Dixie is the only one found this far south. There are two non-native species that have become naturalized, or grows wild, including Iris pseudoacorus, which has a yellow flower and I. Fulva, which has a reddish flower. Dixie iris is also called prairie iris. It is a member of Iridaceae, the iris family. 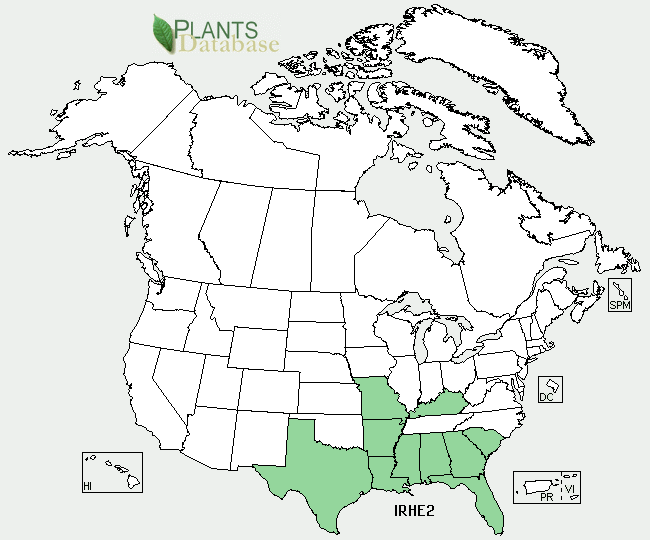 United States Department of Agriculture (USDA) distribution maps for dixie iris.